Your kids have outgrown the fold out sofa and dinette sleeper, and they are ready for their own space when it’s time to bunk down for the night. That’s why it’s time to get one of the bunkhouse RVs for sale at Moore’s RV! This bunkhouse RV review will show you the three reasons your family will love making the switch to a bunkhouse. 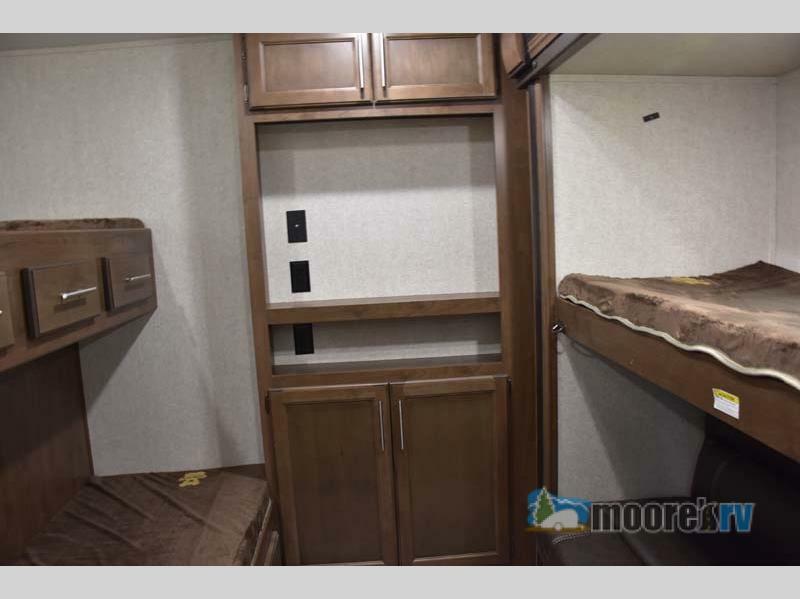 You could save up to $7,000 on this Keystone Hideout bunkhouse travel trailer! Bunkhouse RVs like this Keystone Hideout travel trailer are perfect for multi-family vacations. In addition to the beautiful, private master bedroom, this model comes with was private bunkhouse with four bunks! You’ll also find the dual entry doors a lifesaver if your guests like to turn in early, but you prefer to sit by the fire and enjoy the still of the night. 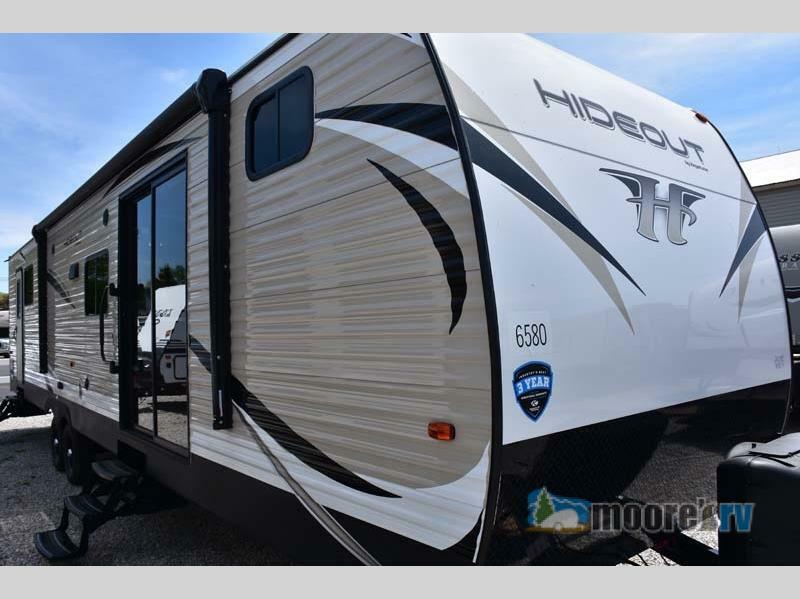 This Keystone Hideout travel trailer sleeps up to 10! If your kids are tired of sleeping on the sofa or dinette, now they’ll have a private space to call their own! 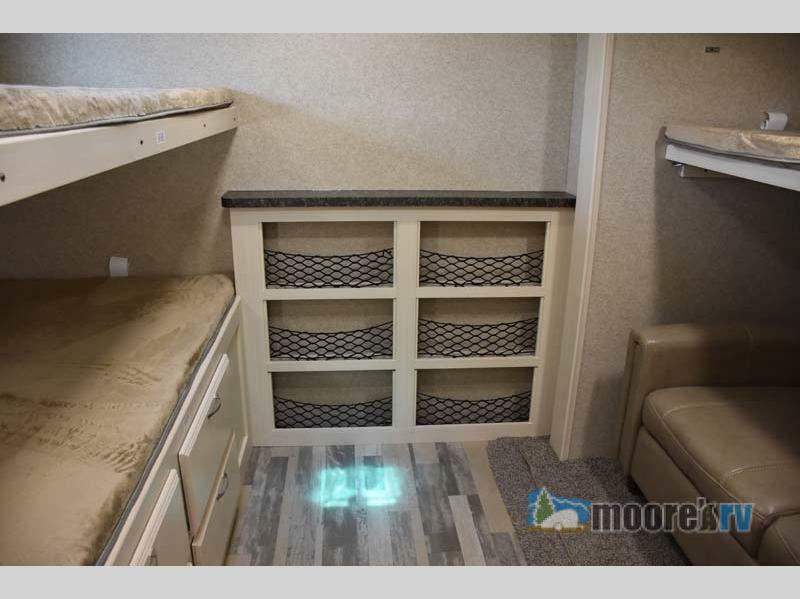 There are three twin bunks and a cozy couch for the kids in this Winnebago Minnie Plus travel trailer‘s bunkhouse and, since it’s separate from the main living area, you can enjoy the game without having to quiet down the kids! Now that’s a dream come true! There is even space for storing the kids’ toys! This Keystone Cougar Half-Ton Series fifth wheel features a bunkhouse with a built-in entertainment unit, and tons of storage for everyone’s things. 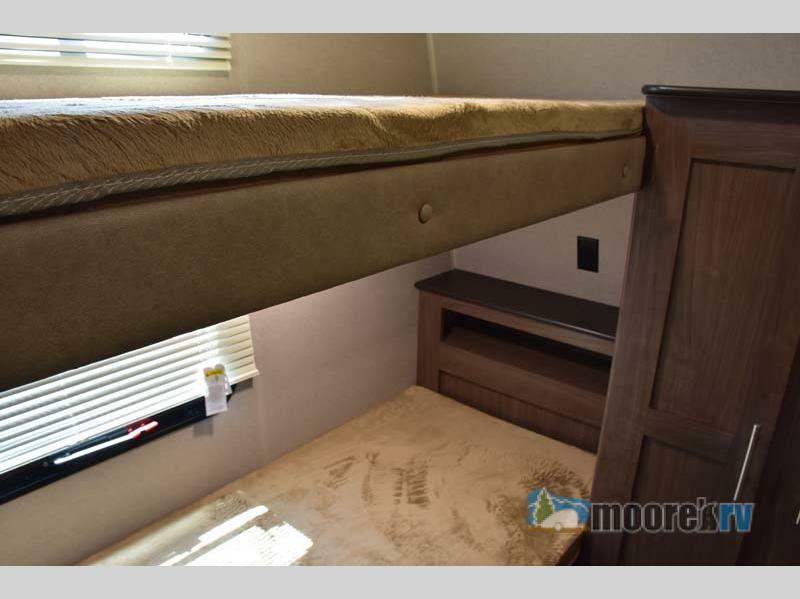 You can sleep up to ten in this spacious RV and the kids will love having a place to retire at the end of the day to play their newest games. There is so much storage in this extra room that you can even find space for space sheets and towels. This is a fantastic place for the kids to spend a rainy day. Give your family a great night’s sleep, no matter where you go! Find the perfect fifth wheel or travel trailer bunkhouse RV for sale and contact us to drive home your dream.